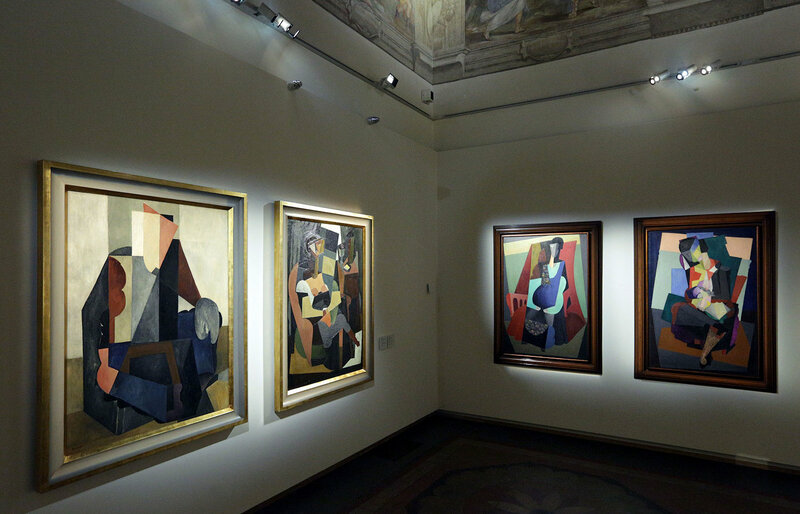 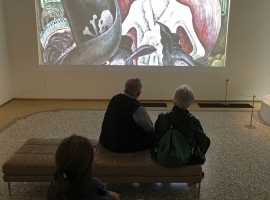 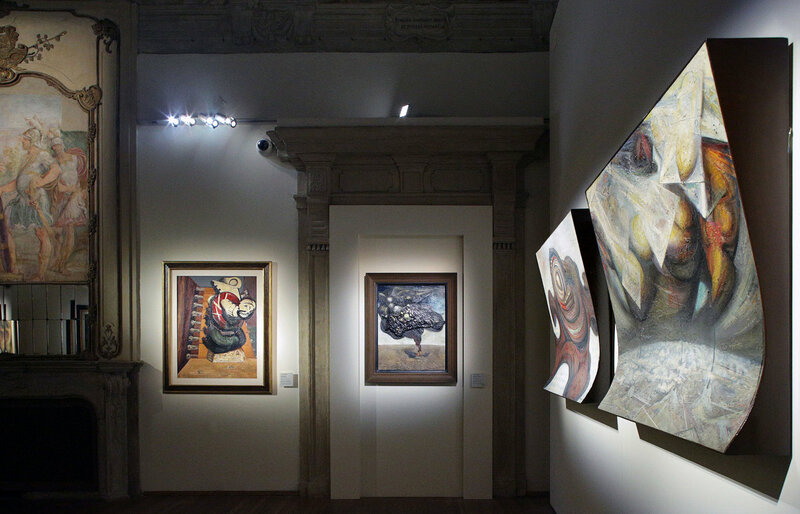 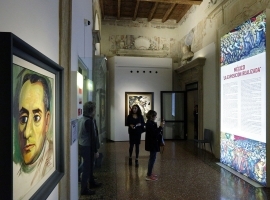 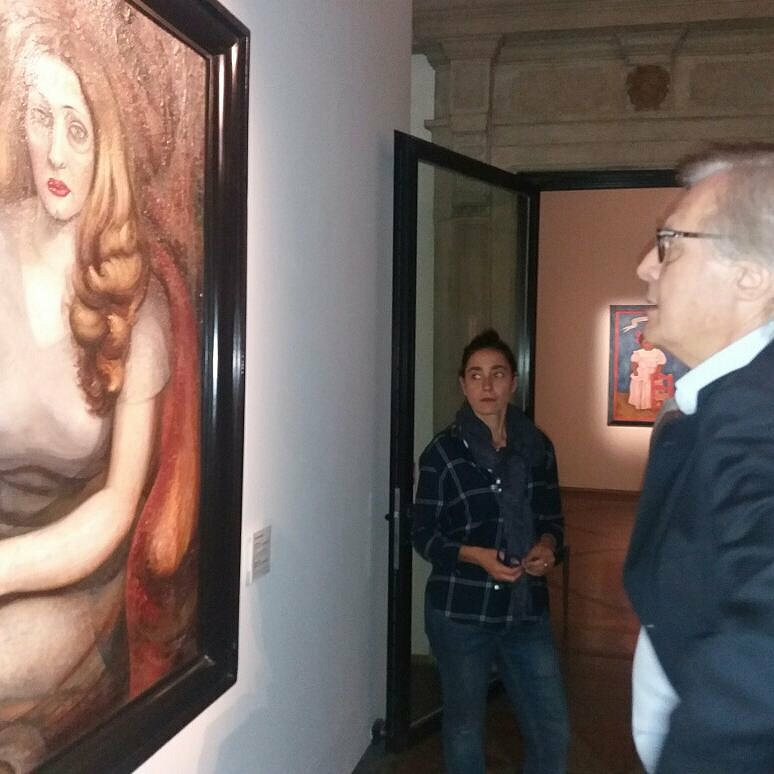 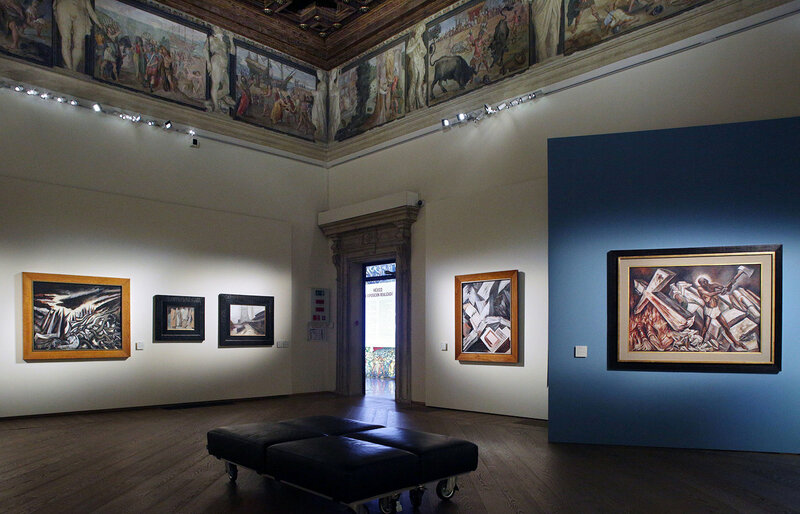 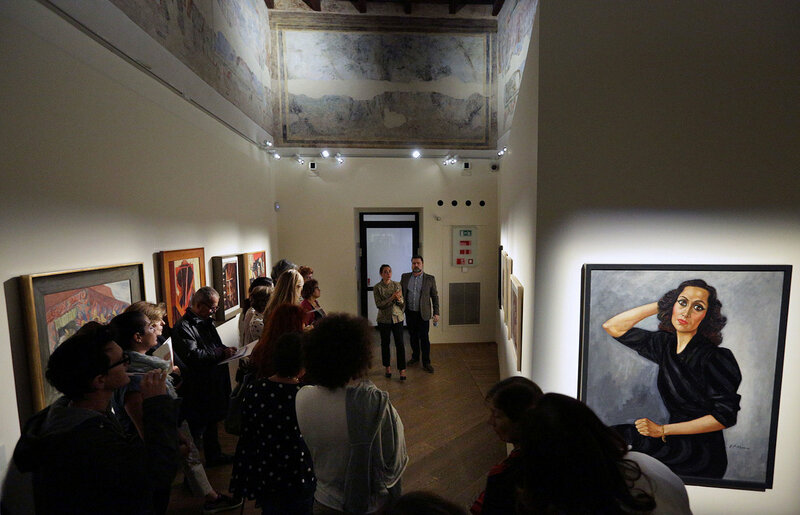 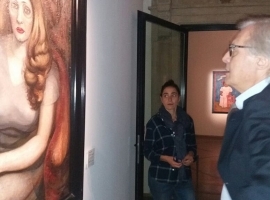 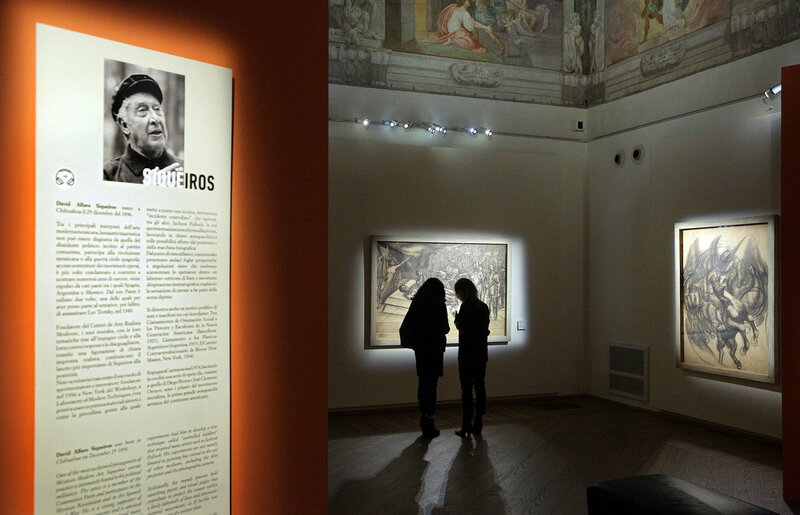 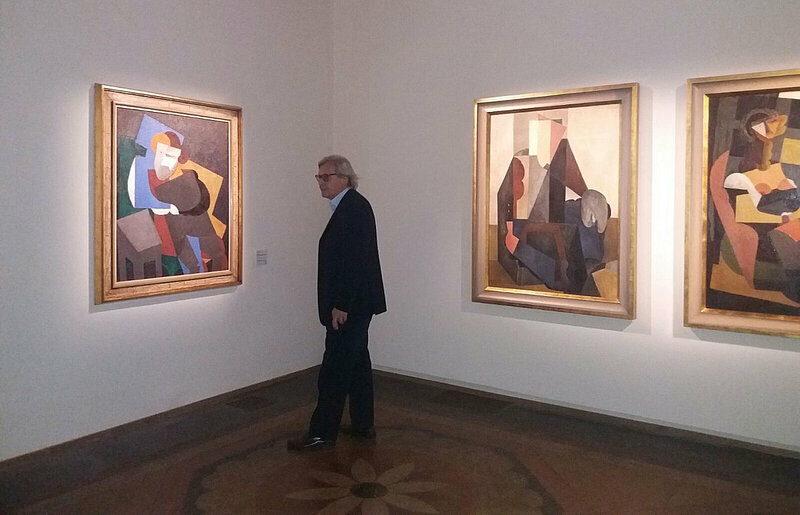 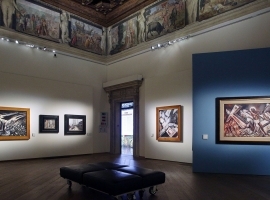 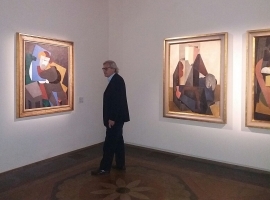 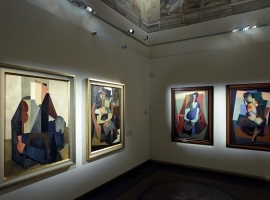 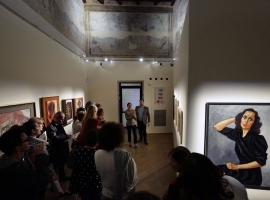 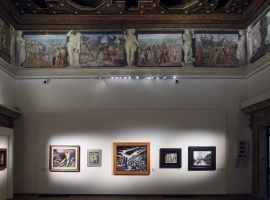 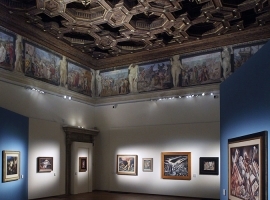 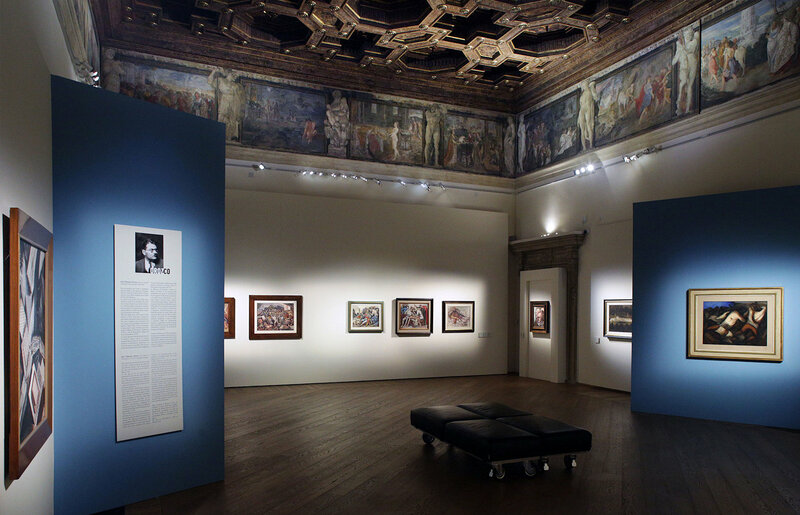 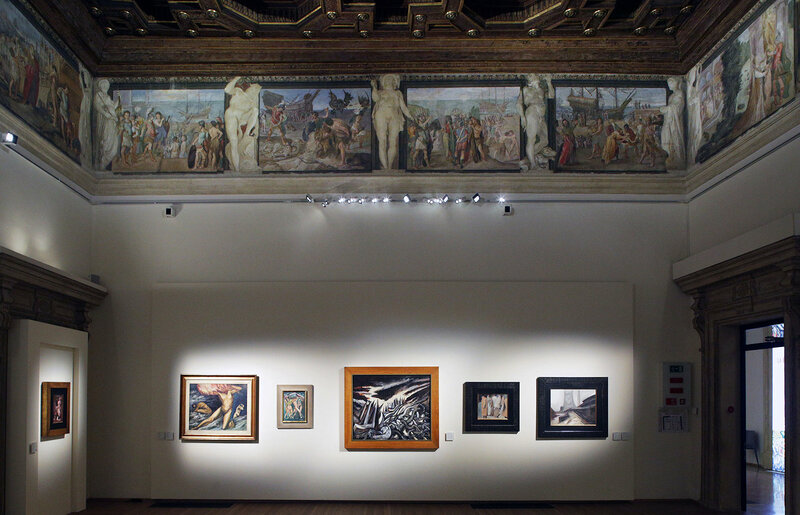 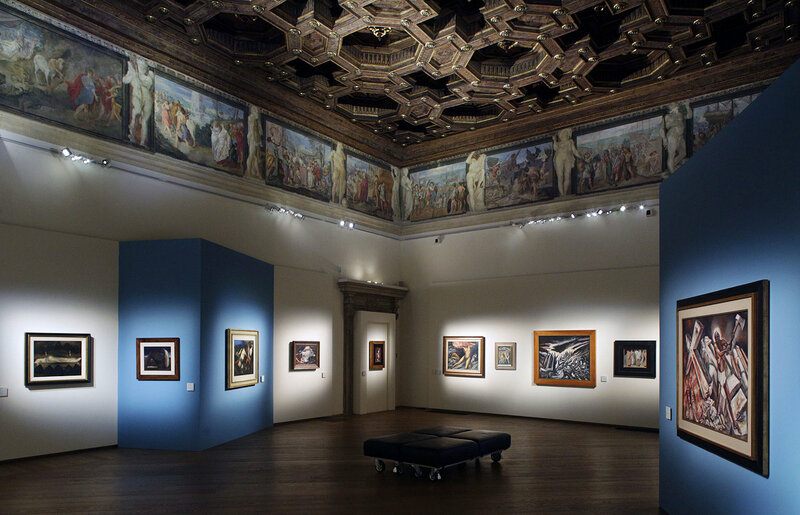 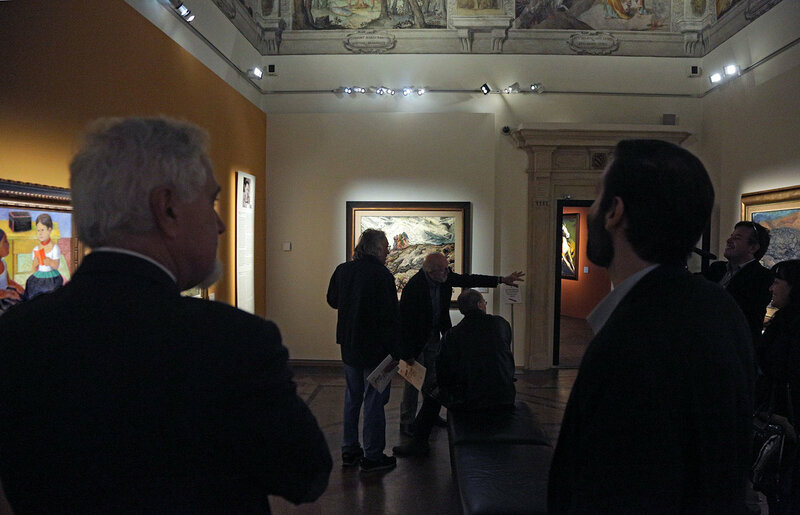 This exhibition presents for the first time in Bologna a selection of works by three among the major artists of Mexican Modernism, José Clemente Orozco, Diego Rivera and David Alfaro Siqueiros. 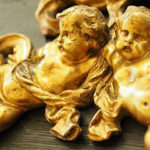 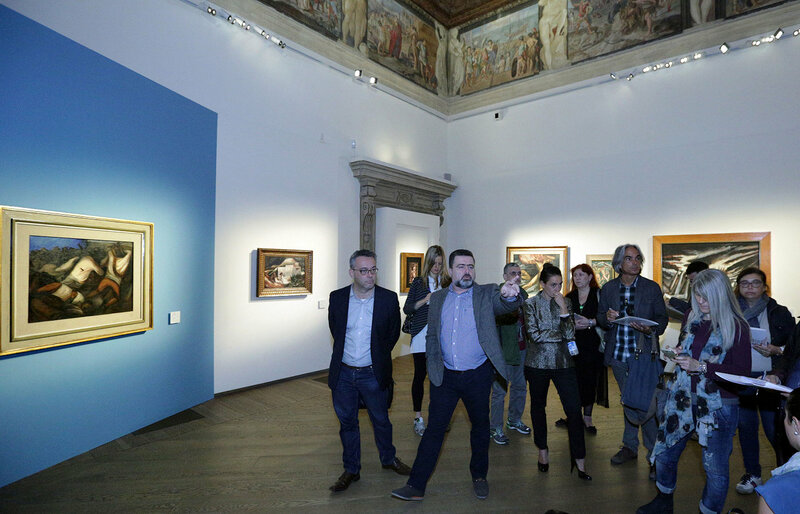 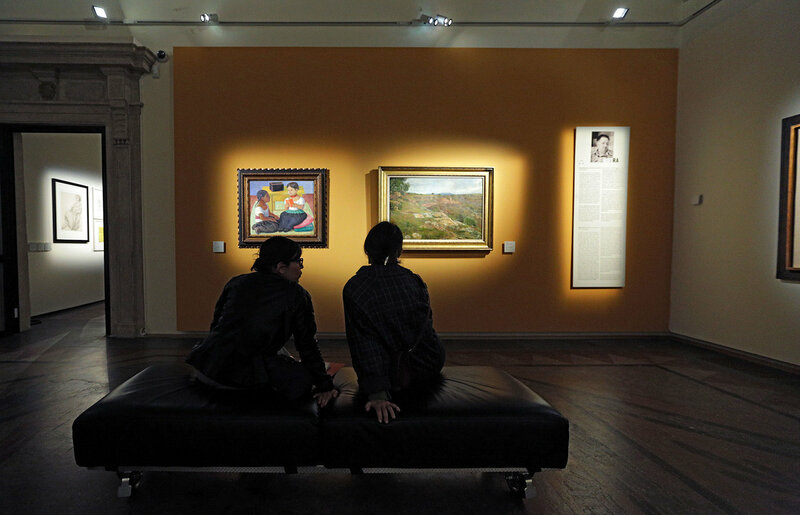 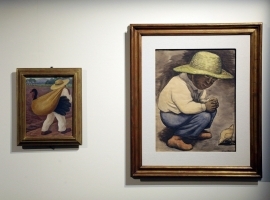 The chore of the collection comes from the Museo di Arte Carrillo Gil in Mexico City and is considered, worldly, as the most important collection of Latin American art. 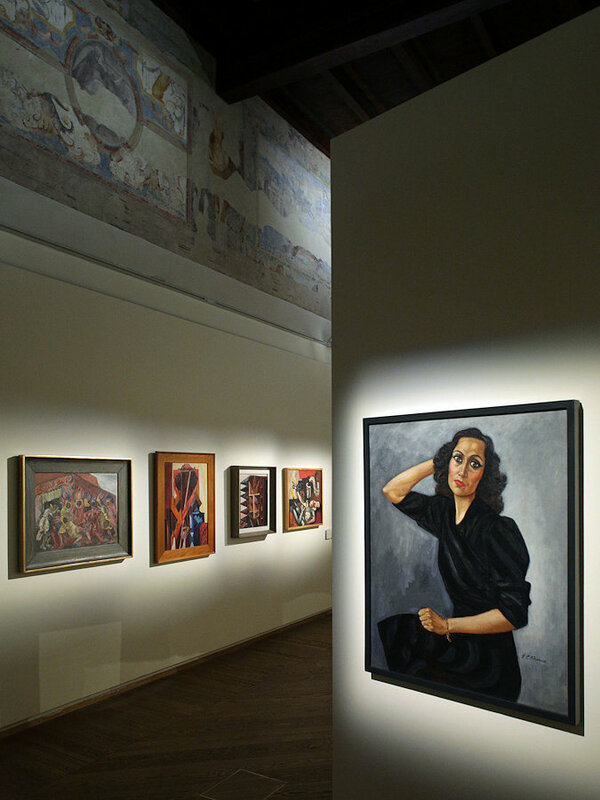 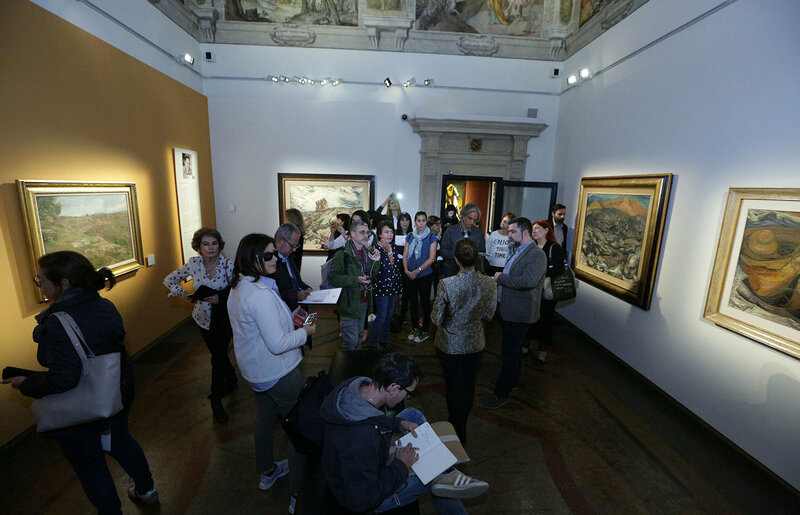 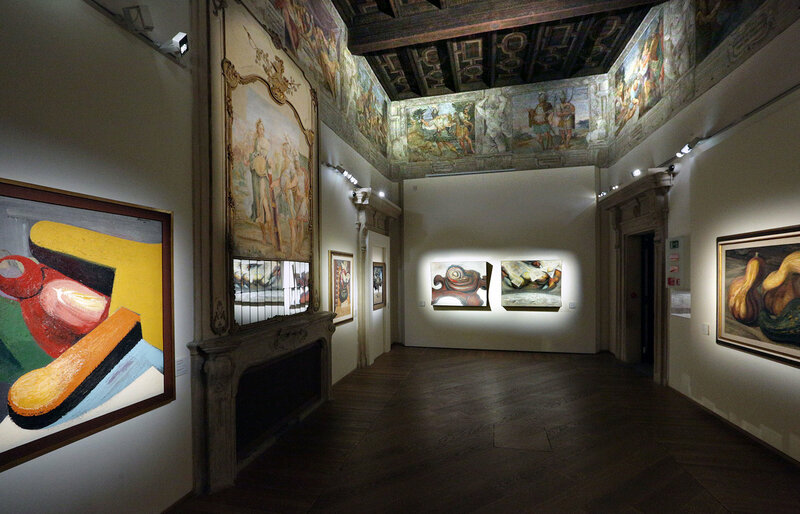 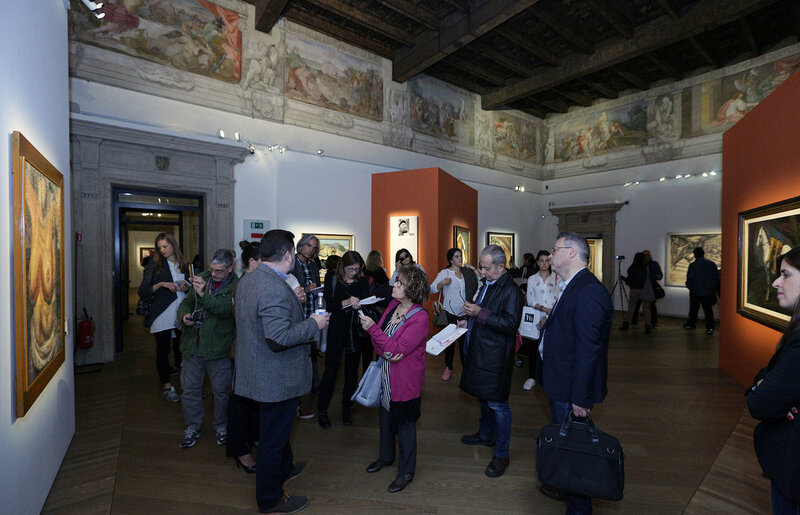 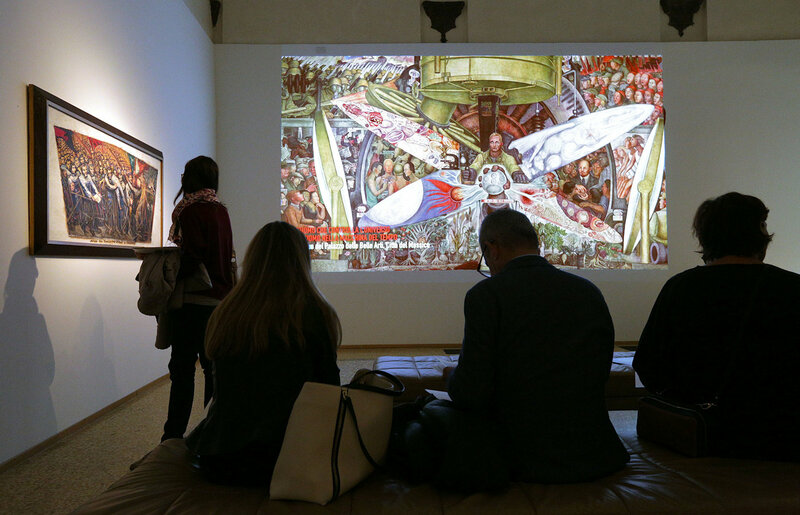 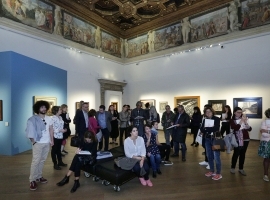 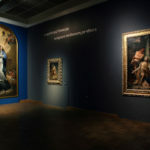 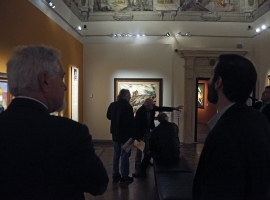 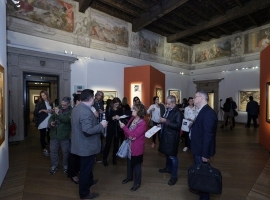 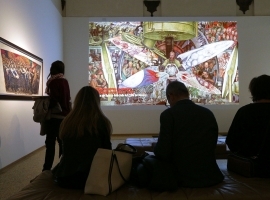 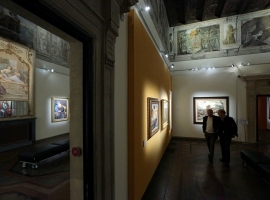 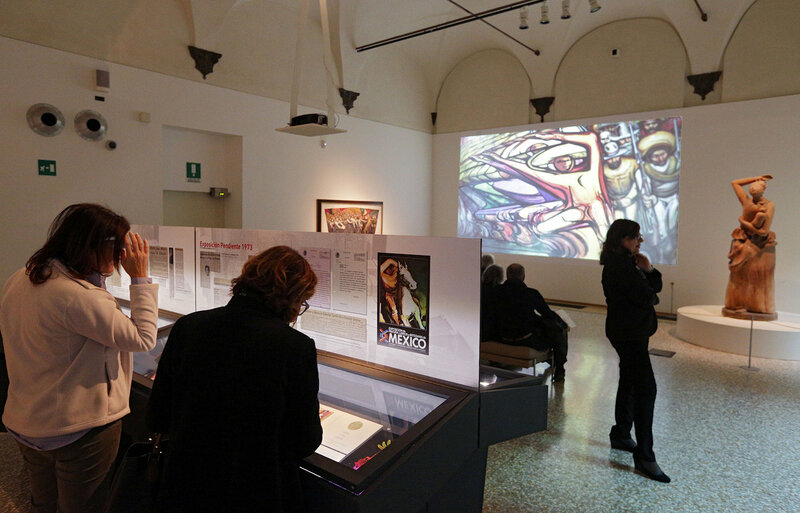 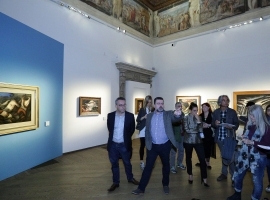 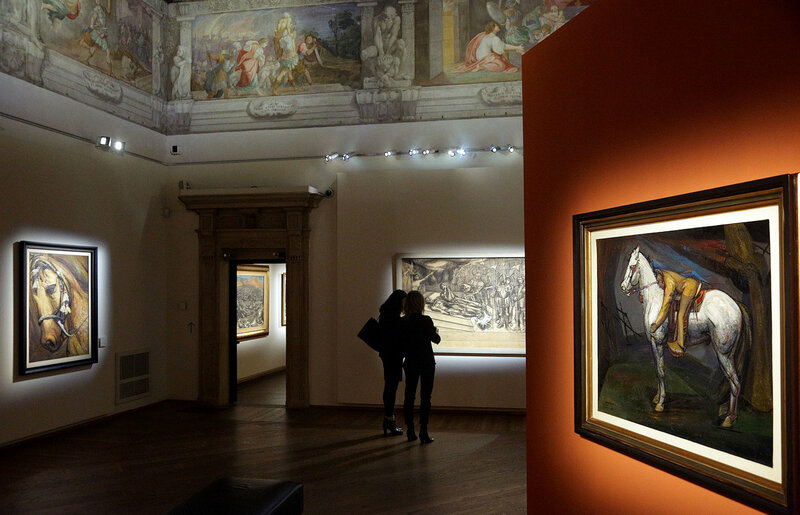 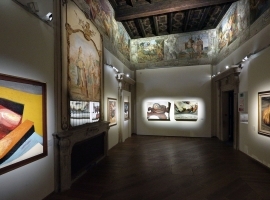 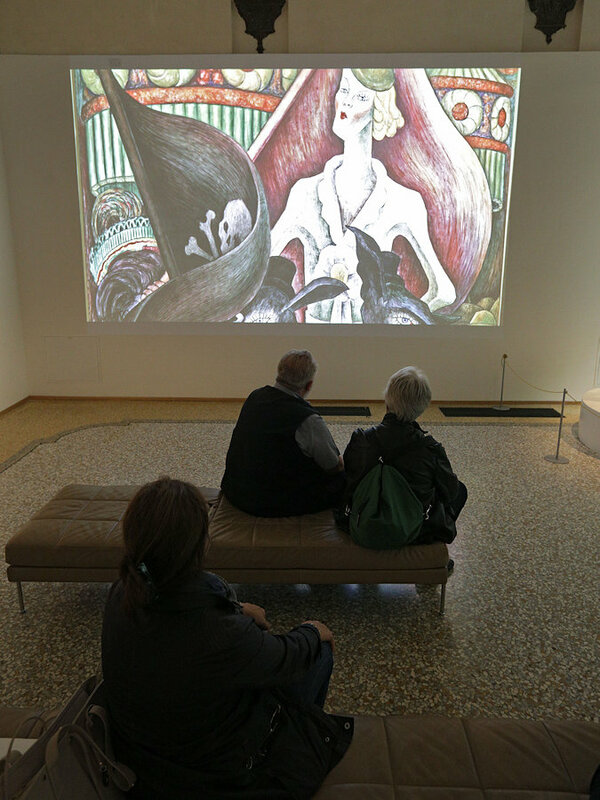 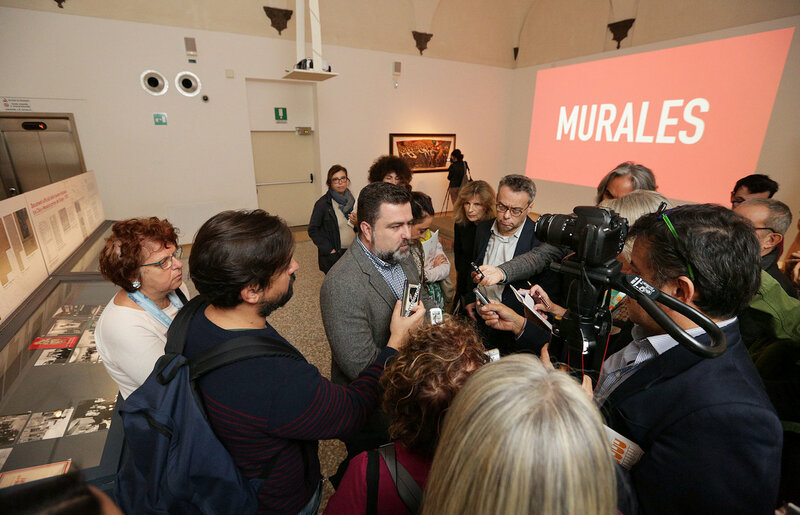 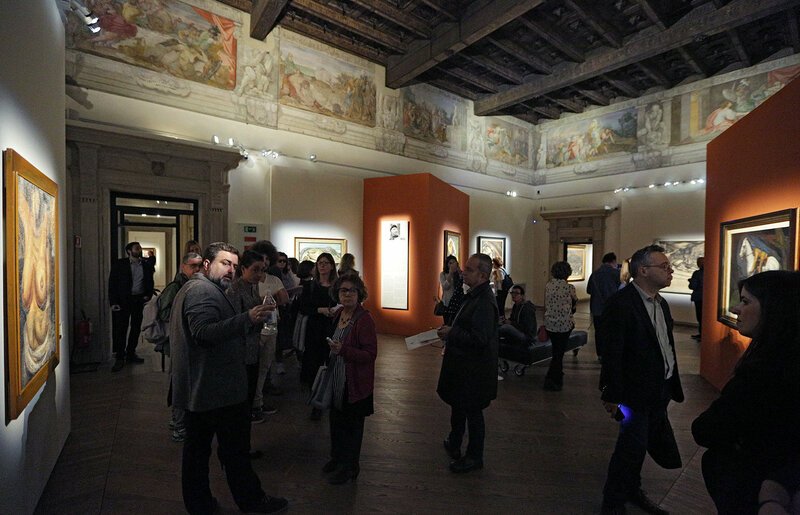 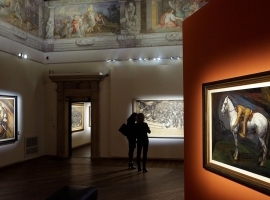 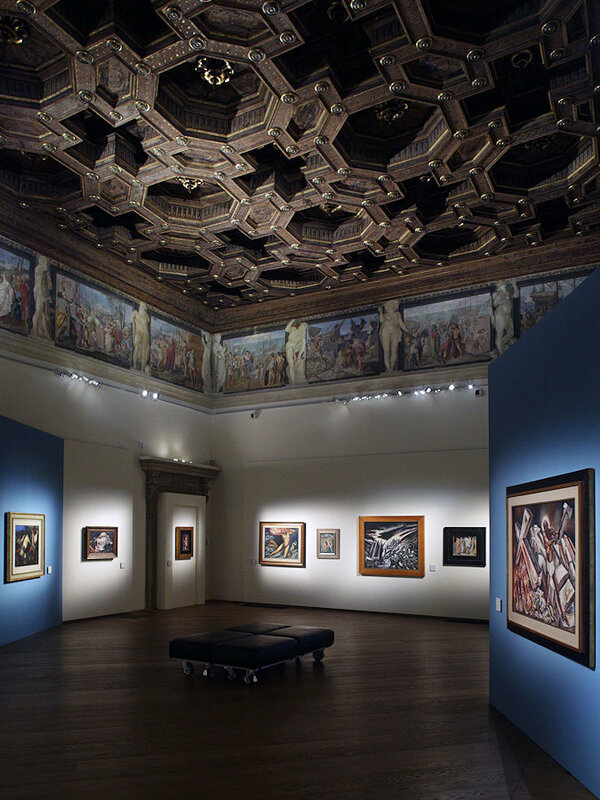 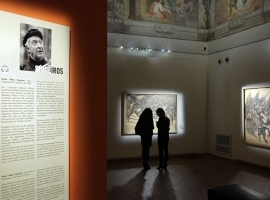 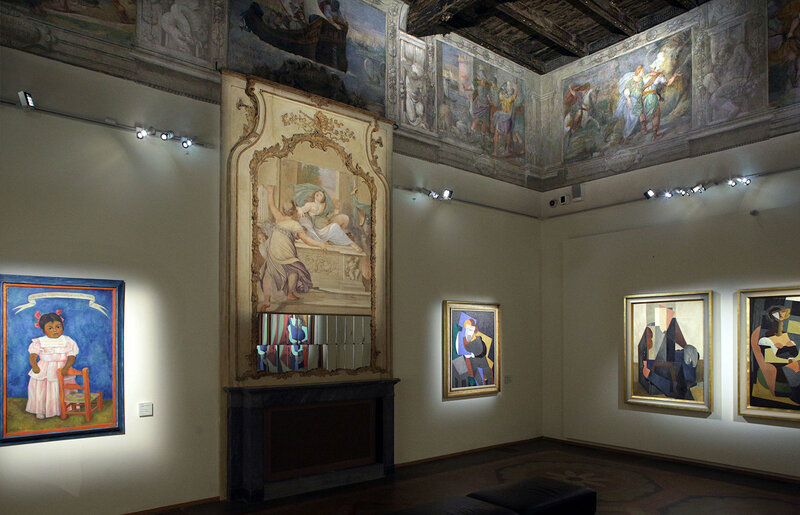 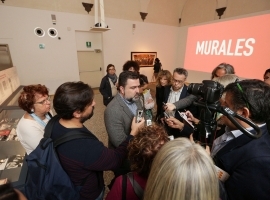 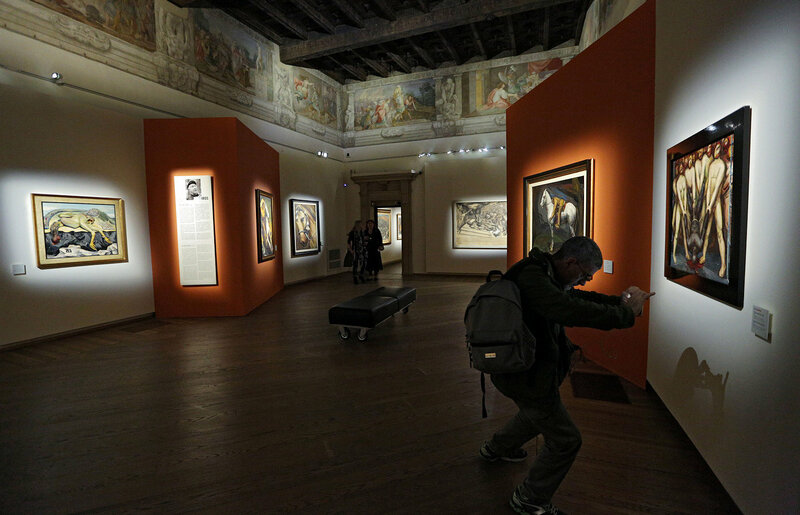 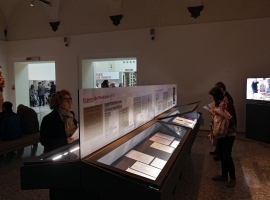 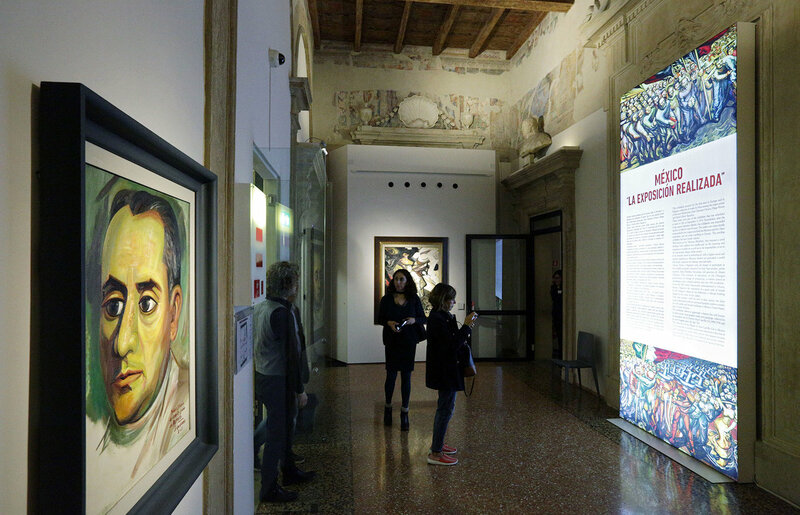 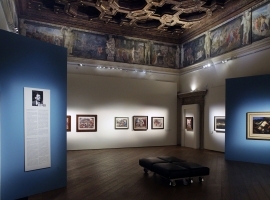 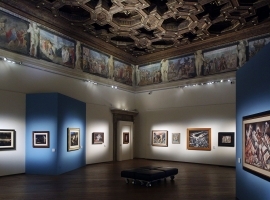 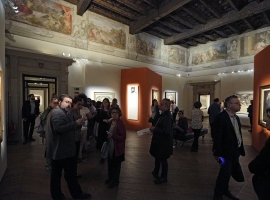 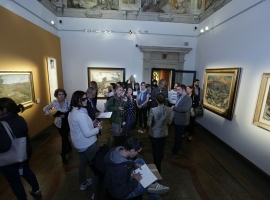 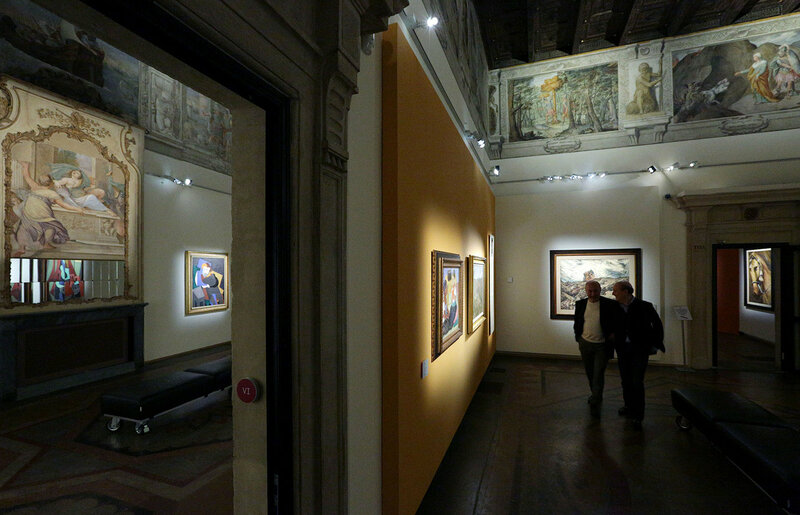 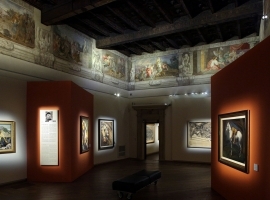 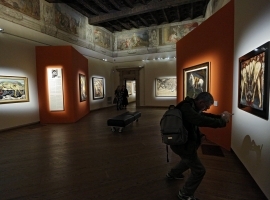 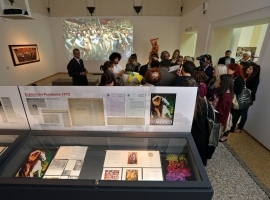 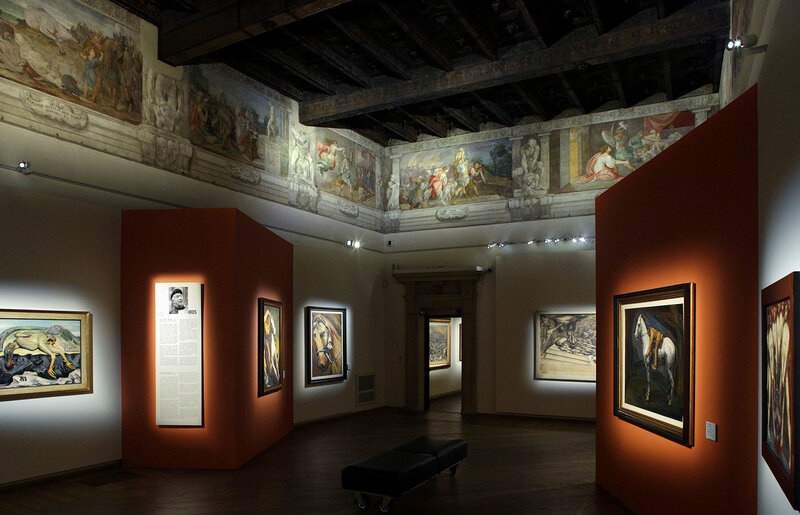 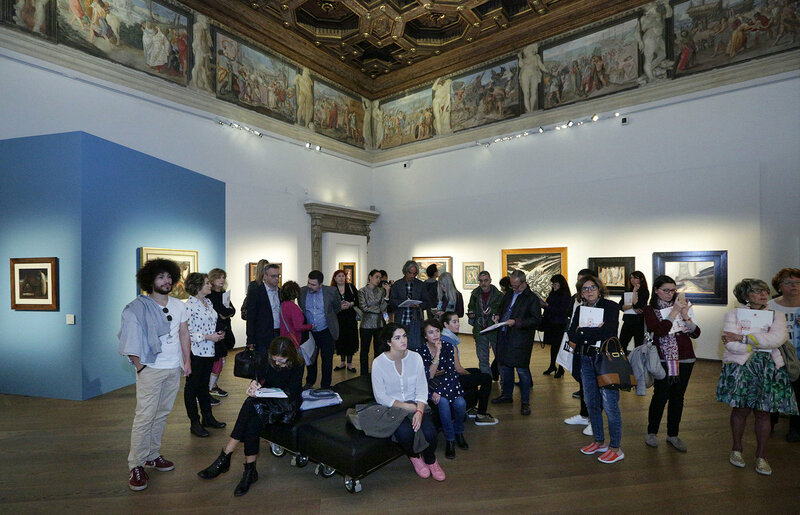 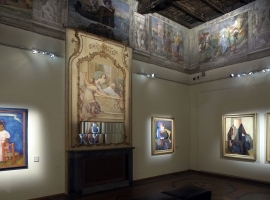 The exhibition features some of the murals realized by these artists as well as a number of graphic works and paintings. 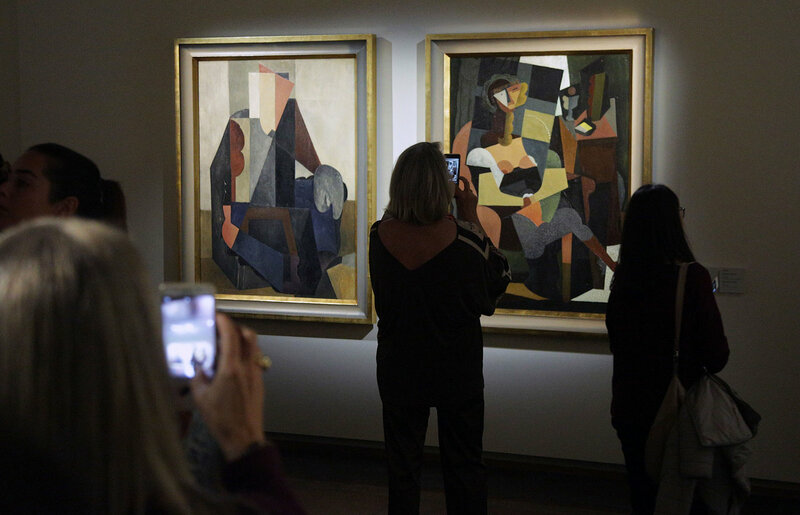 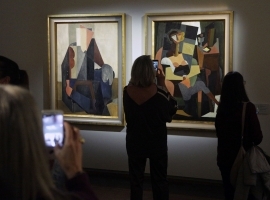 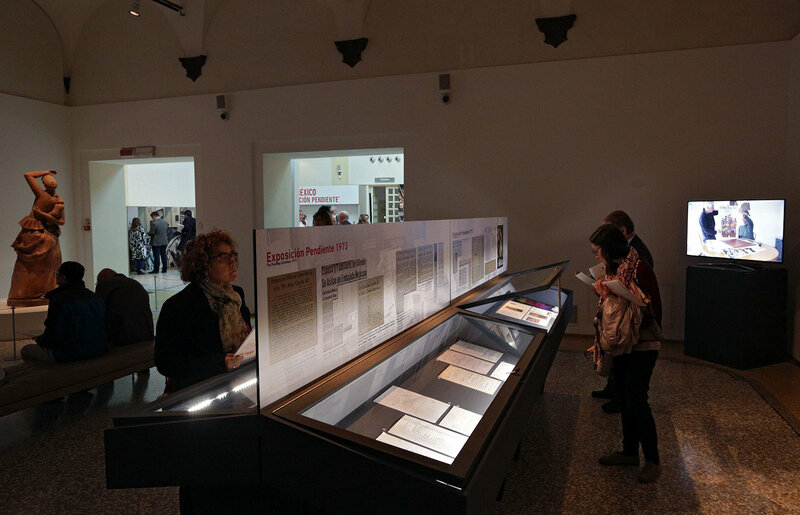 The exhibition also reveals the innovative way in which Doctor Alvar Carrillo Gil (1898-1974) structured his collection. 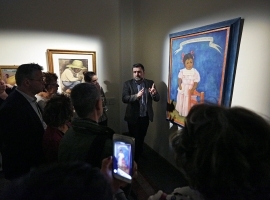 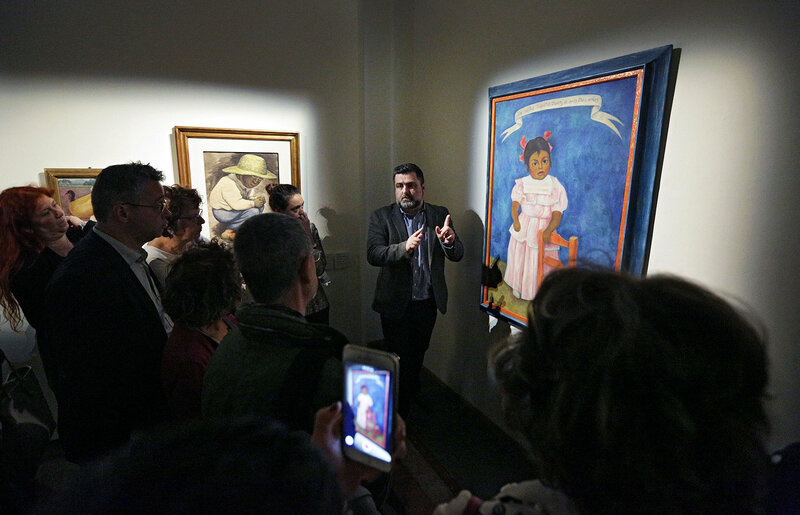 In its research aimed at providing art with a higher social and popular significance, Mexican modern art generated a model that deeply impacted art making, internationally. 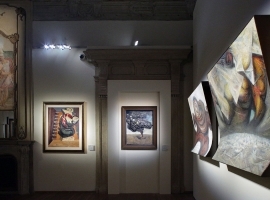 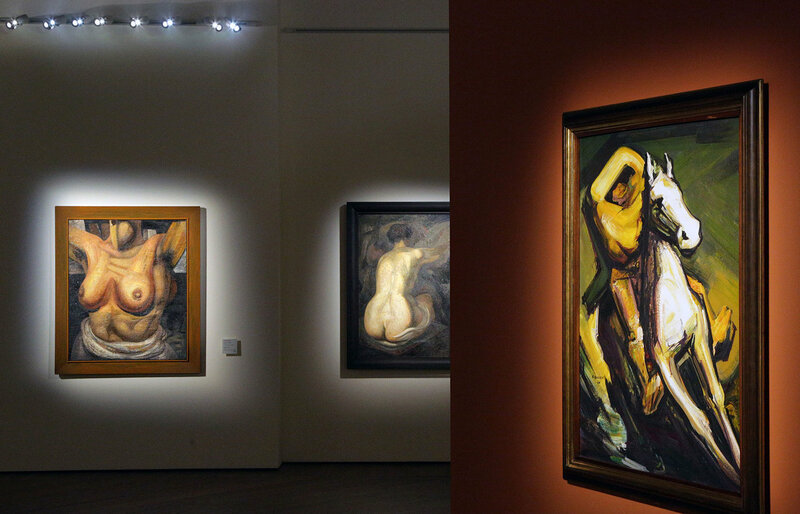 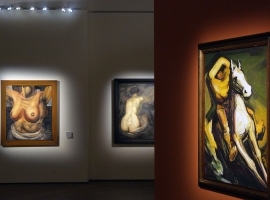 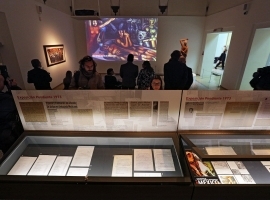 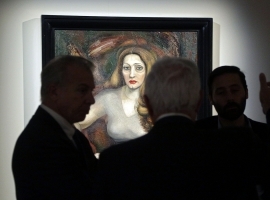 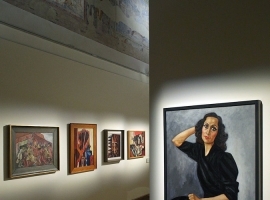 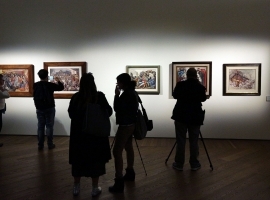 The exhibition, scheduled to open in Santiago de Chile in 1973, gathered the most important artists of the so-called “Mexican School of Painting”: José Clemente Orozco, Diego Rivera and David Alfaro Siqueiros; The masters that gave birth to the worldly celebrated Mexican Muralism Movement. 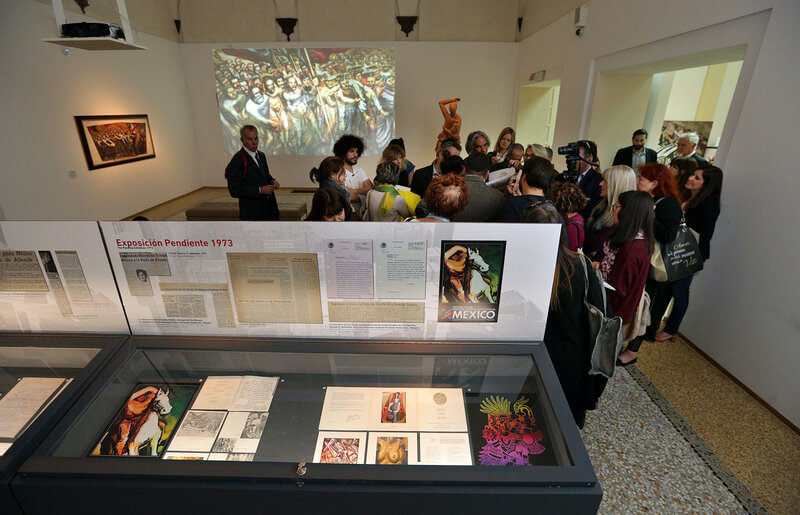 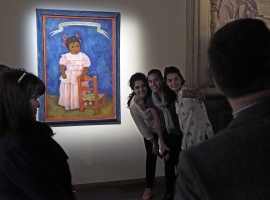 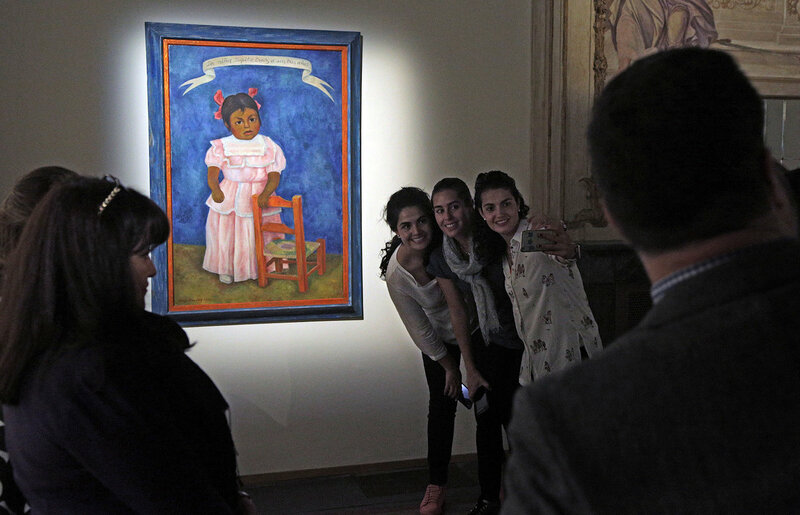 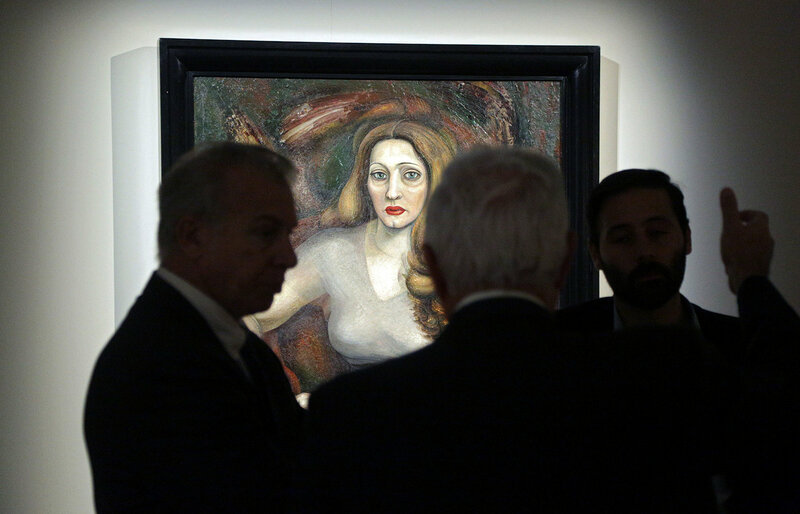 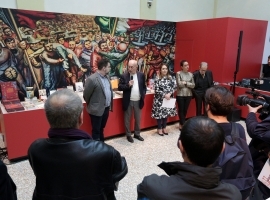 Such artistic event was aimed at celebrating the friendship between Mexico and Chile but was abruptly interrupted by the Golpe led by Augusto Pinochet two days prior to the exhibition’s opening. 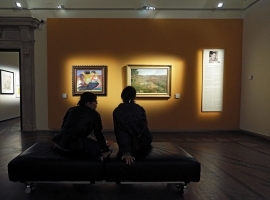 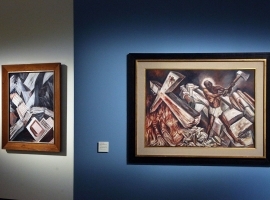 The merciless dictatorship established by the General prevented the Chilean people to admire the magnificent works that had been installed at the National Museum of Arts of Santiago, besieged by the military forces. 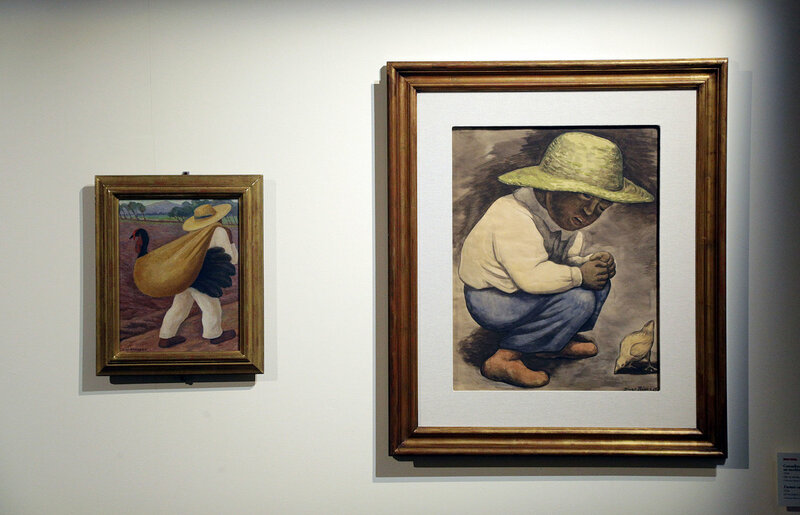 The works, subjected to the curfew, were finally re-crated and sent back to Mexico 15 days later. 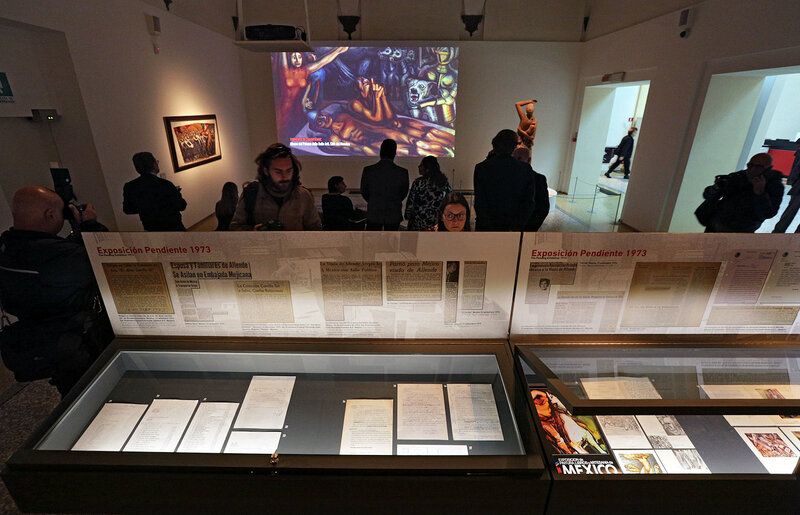 27 crates flew out of Chile together with many Chilean exiled, including the widow and the daughters of the assassinated President Salvador Allende. 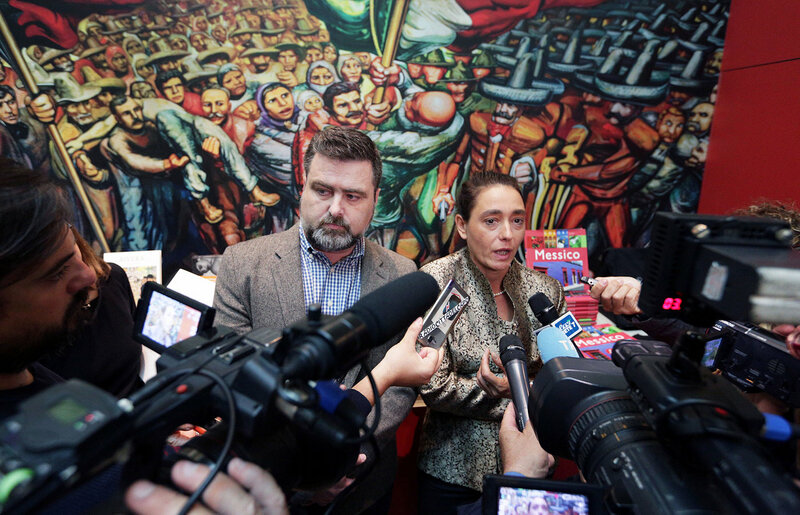 “México. 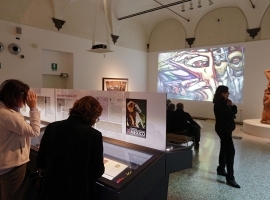 The Pending Exhibition. 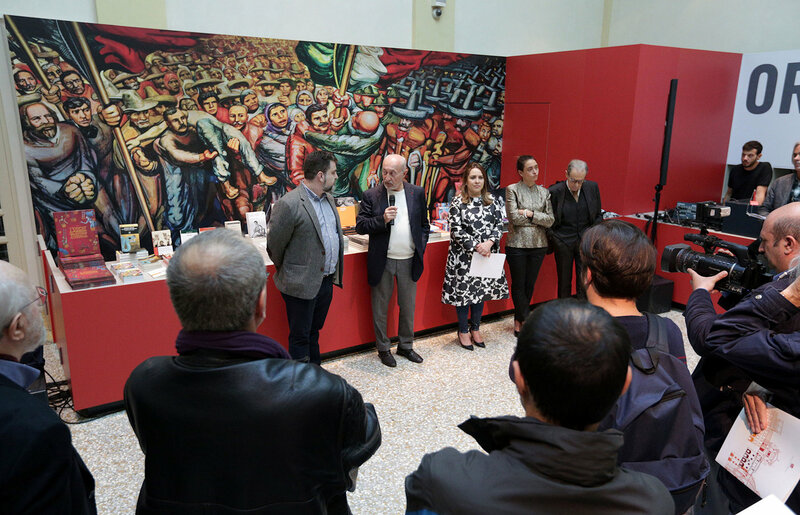 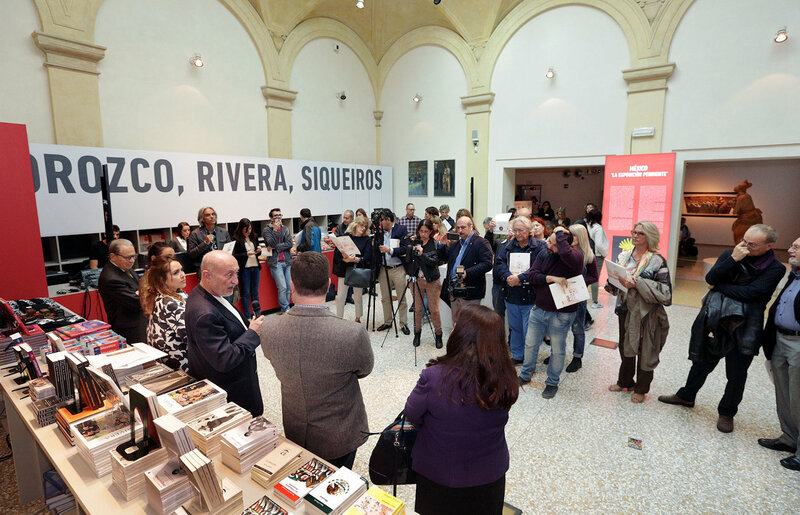 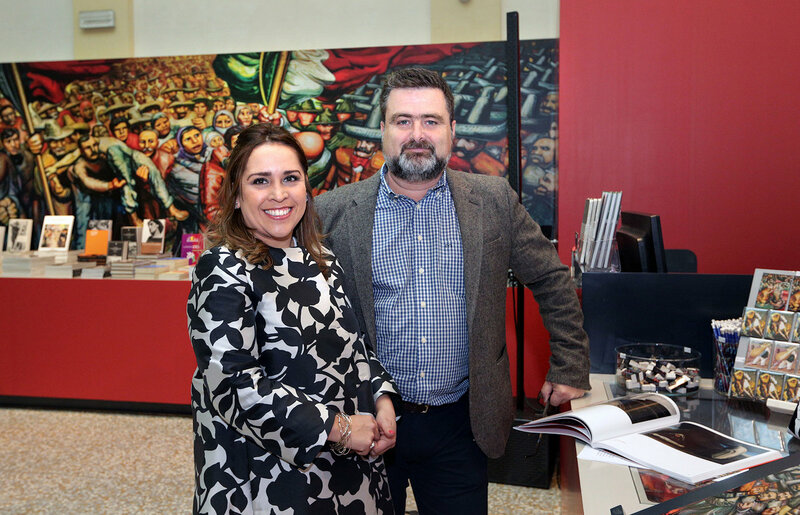 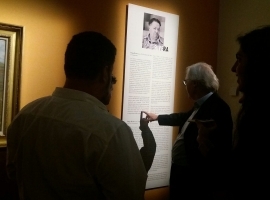 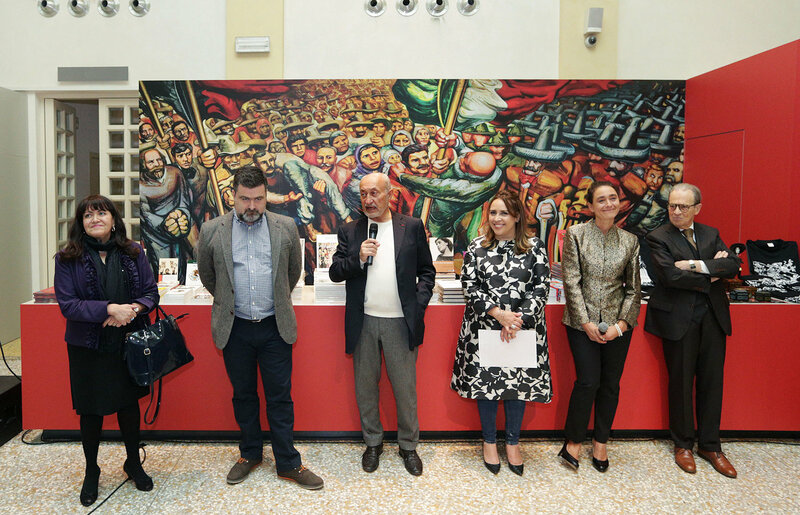 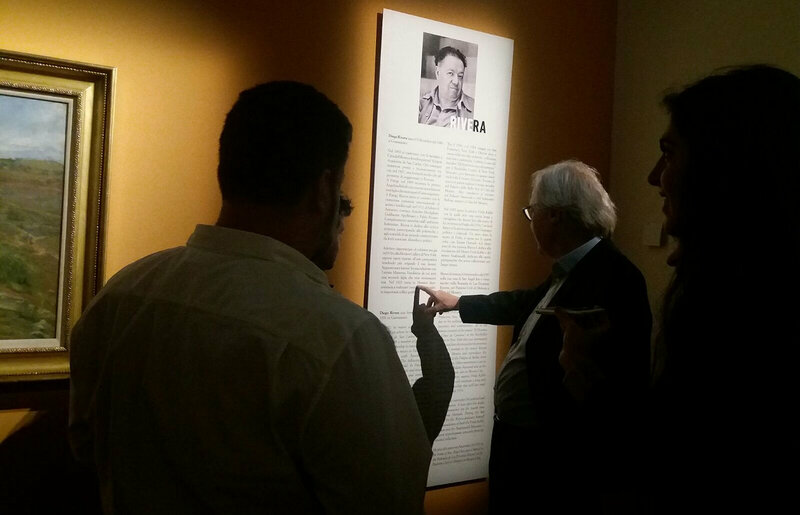 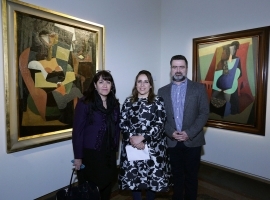 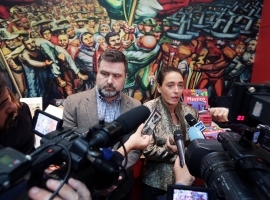 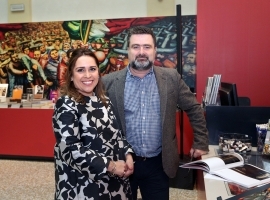 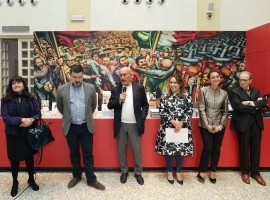 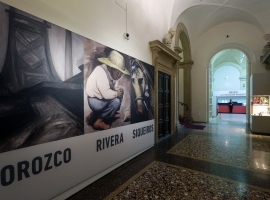 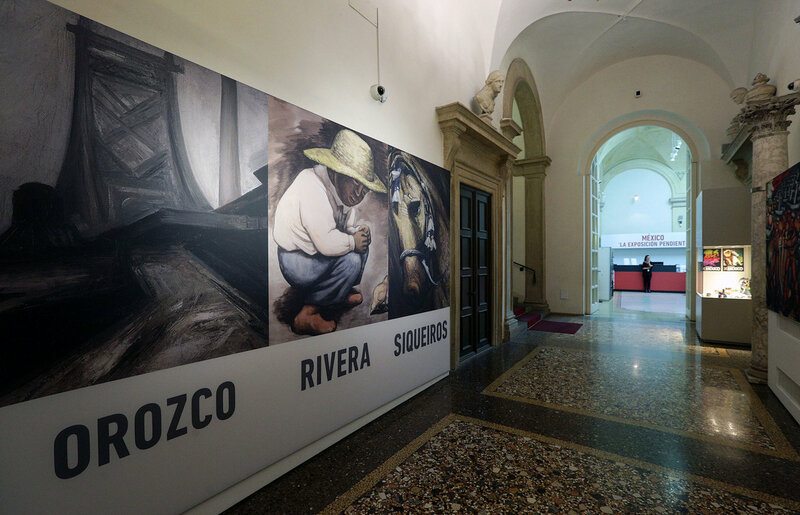 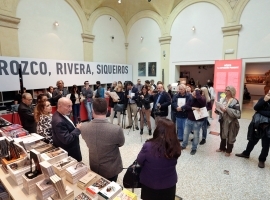 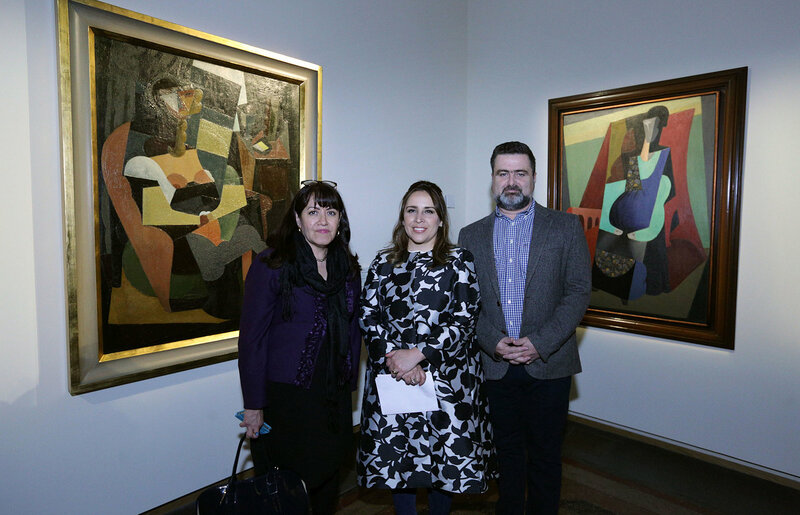 Orozco Rivera e Siqueiros” not only represents the resurrection of that particular event, but is also an invaluable opportunity to narrate the courage of those who put their life at risk to ensure the safety of the Collection Carrillo Gil. 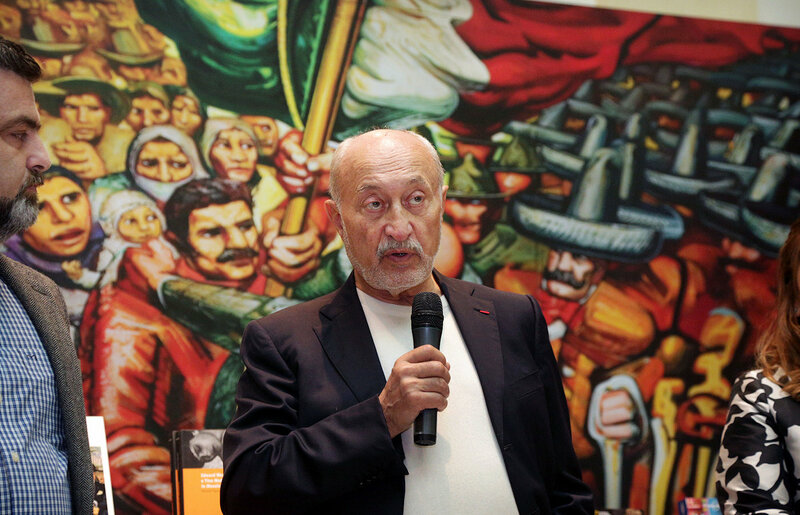 Orozco, Rivera e Siqueiros were all chosen to participate in the muralist program conceived by José Vasconcelos for Mexican public architecture, which constituted a major chapter in the development of monumental artworks in the history of Modern Art. 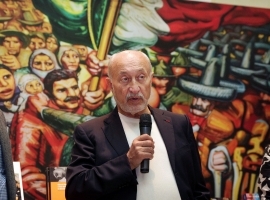 Vasconcelos was the first Secretary of Public Education of Mexico and as the Dean of the Universitad Autonoma of Messico, he commissioned, in 1922 to Orozco, Rivera e Siqueiros, the realization of a great cycle of murals for the Antiguo Colegio de San Ildefonso, a colonial building situated in the center of the capital. 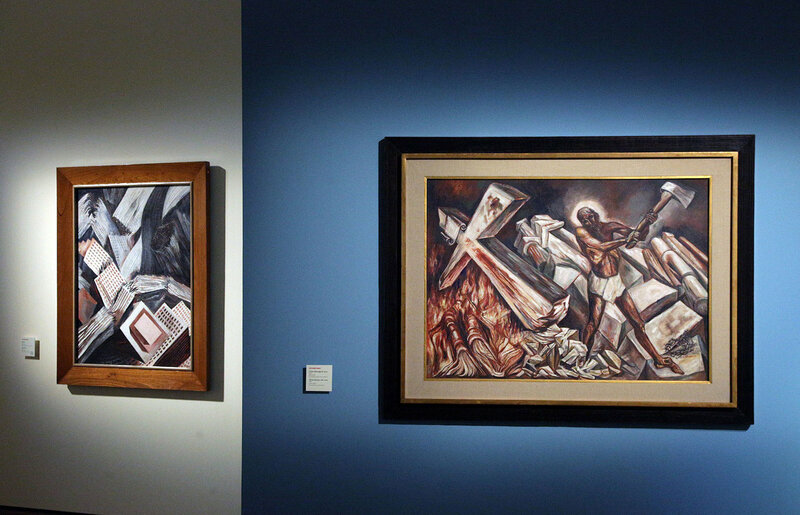 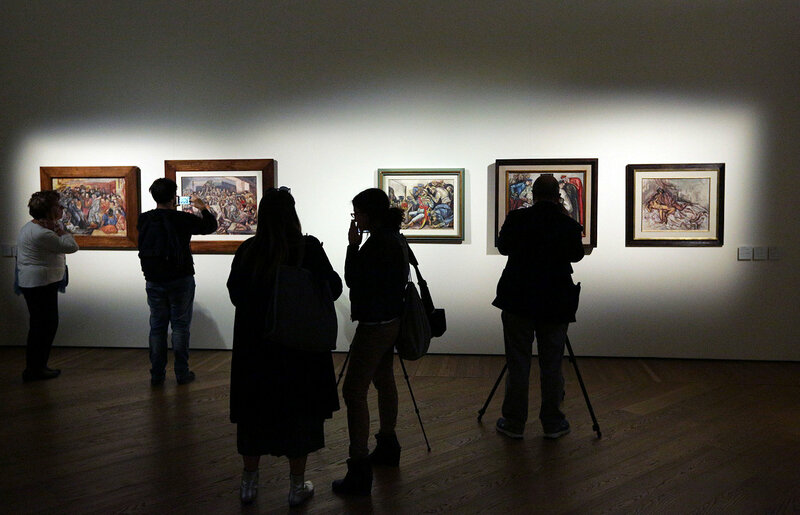 From that moment until the end of their careers the three masters alternated works on canvas and graphic works to murals, for both public and private buildings in Mexico, United States, and in the case of Siqueiros, in Argentina, Chile and Cuba. 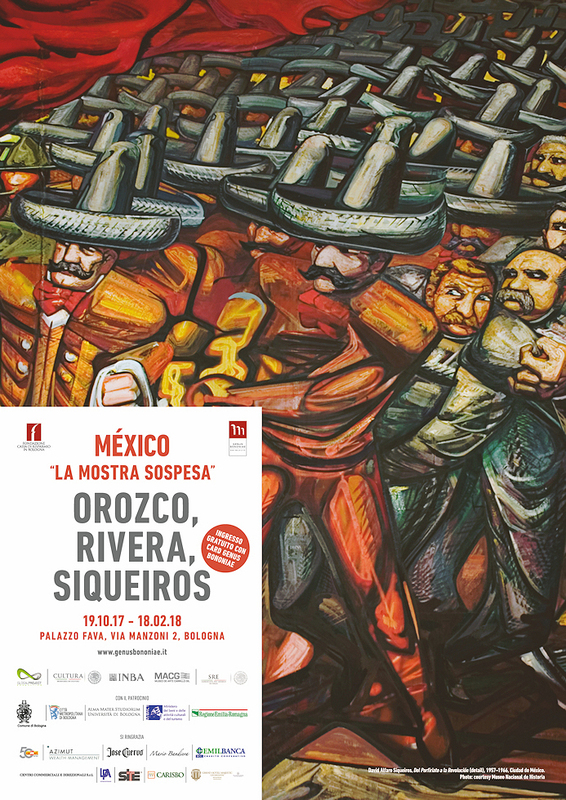 Well known as the “Mexican Muralists” they imposed a novel ideology, both political and intellectual, on the meaning and importance of public art as well as on the responsibility of art in the educational critique within society.